Remember the days when we were debating the definition of “Cloud”? That was as recent as 2009. 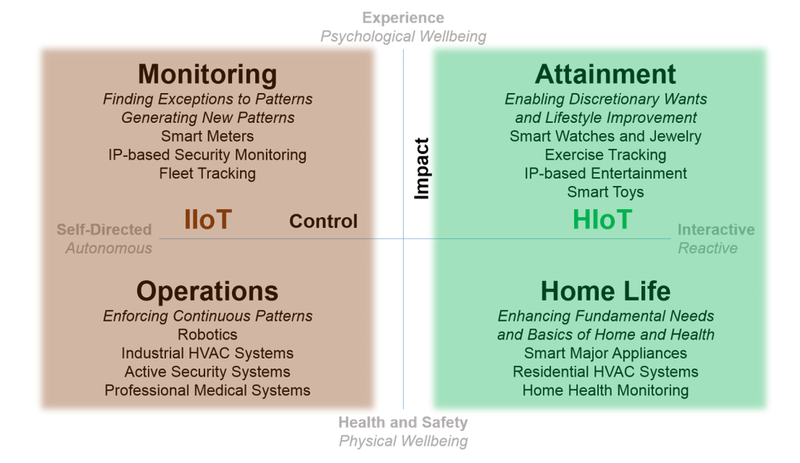 Fast forward to 2014 and we’re facing the same ambiguities with the Internet of Things (or IoT). It’s a market that is as big or bigger than Cloud. 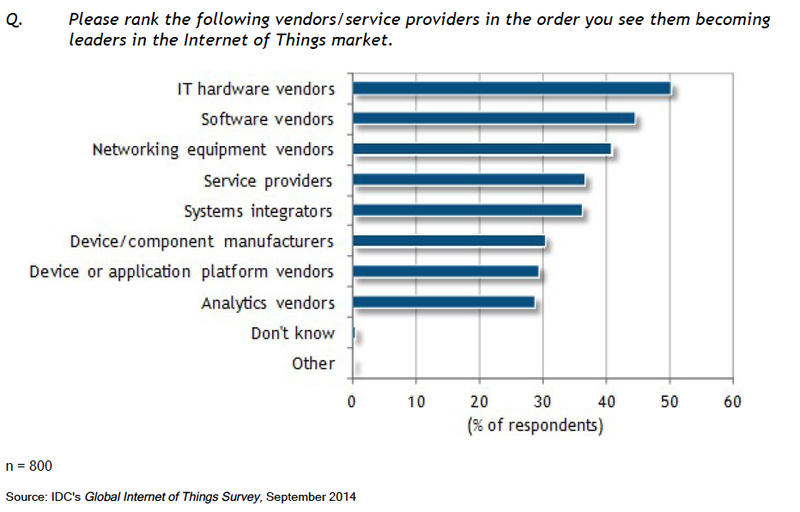 IDC expects the overall market for IoT to grow at a 12.5% CAGR from $1.3 trillion in 2013 to $3.0 trillion in 2020. IDC also forecasts that there will be approximately 30 billion autonomous things attached to the Internet in 2020, which serve as the catalyst driving this significant revenue opportunity. 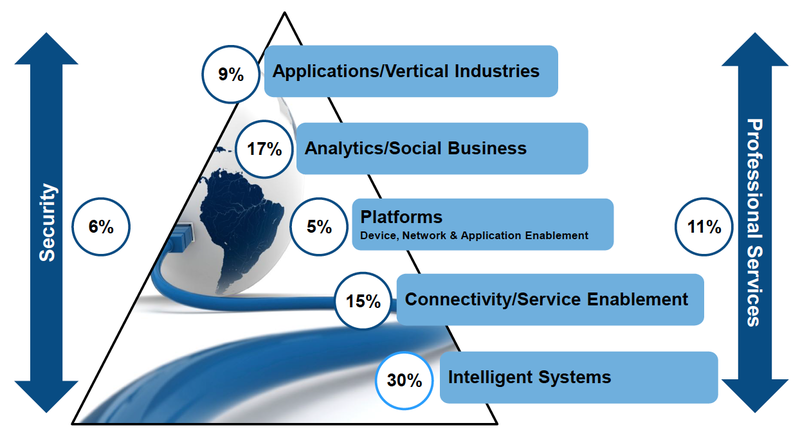 IDC believes that services and connectivity will make up the majority of the IoT market — outside of intelligent systems; together, they are estimated to account for just over half of the worldwide IoT market in 2013. IDC expects that by 2020, this percentage will inch up to 66% of the worldwide IoT market (outside of intelligent/embedded systems) but give way to the increasingly valuable platforms, applications, and analytic services that are forecast to together equal 30% of the total market revenue. It’s a big opportunity….IoT. So what is it exactly? 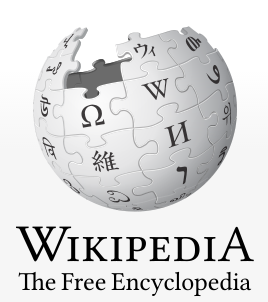 Wikipedia defines the Internet of Things (IoT) as the interconnection of uniquely identifiable embedded computing devices within the existing Internet infrastructure. Typically, IoT is expected to offer advanced connectivity of devices, systems, and services that goes beyond machine-to-machine communications (M2M) and covers a variety of protocols, domains, and applications. The interconnection of these embedded devices (including smart objects), is expected to usher in automation in nearly all fields, while also enabling advanced applications like a Smart Grid. IDC defines the Internet of Things as a network of networks of uniquely identifiable endpoints (or “things”) that communicate without human interaction using IP connectivity — whether “locally” or globally. 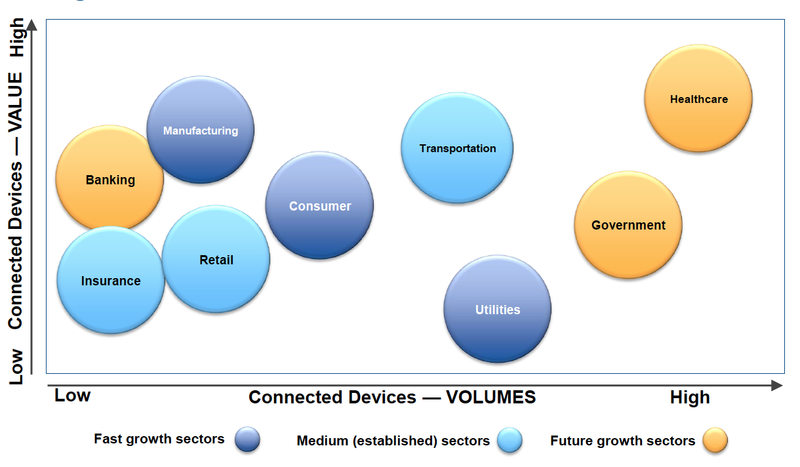 IDC has identified the IoT ecosystem as having the following piece parts — intelligent systems, connectivity, platforms, analytics, applications, security, and services. While the overall market opportunity is represented in terms of billions of connected things and trillions of dollars in revenue opportunity — the question continuously asked is where the revenue opportunity lies across these different technology layers. The IoT brings meaning to the concept of ubiquitous connectivity for businesses, governments, and consumers with its innate management, monitoring, and analytics. With uniquely identifiable endpoints integrated throughout networks, operational and location data, as well as other such data, is managed and monitored by the intelligent or traditional embedded system that has been enhanced and made part of IoT solutions and applications for businesses, governments, and consumers. 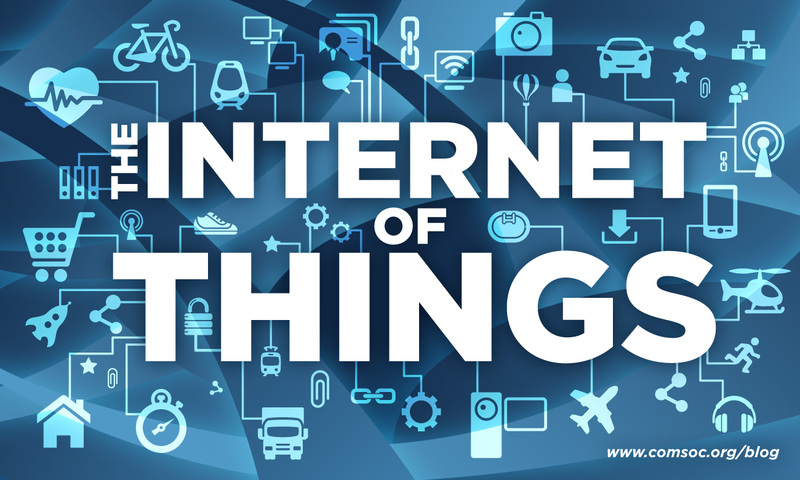 IoT is composed of technology-based connected solutions that allow businesses and governments to gain insights that help transform how they engage with customers, deliver products/services, and run operations. GigaOm defines the internet of things as an ultra-connected environment of capabilities and services, enabling interaction with and among physical objects and their virtual representations, based on supporting technologies such as sensors, controllers, or low-powered wireless as well as services available from the wider internet. Internet-connected objects, devices, and other “things” are proliferating in every domain. Farmers’ gates can be fitted with SIM cards to monitor whether they have been left open or allow farmers to close them remotely. Cows are being equipped with pay-asyou- go devices, which can send SMS texts when they are in heat. Beer barrels now have radio tags so that they can be tracked from brewery to bar and back. Indeed, few supply chains exist today without some kind of automated product tracking. Many major supermarkets now offer bar-code readers to self-scanning shoppers, for example. Startups such as Supermechanical and Electric Imp are creating monitoring devices that can be connected to light bulbs or other electrical devices, garage doors, or windows or simply left in the basement to check for water leaks. “Things” don’t necessarily have to be small: Buses, trains, and cars can be fit with monitoring devices so they can provide accurate information to both control rooms and customers. Gartner defines the Internet of Things (IoT) as the network of dedicated physical objects (things) that contain embedded technology to sense or interact with their internal state or external environment. The IoT comprises an ecosystem that includes things (e.g. baby monitor), communications (e.g. home broadband), applications and data analysis (obstructive sleep apnea prevention). Machine-to-machine (M2M) communication services refer to connectivity services that link IoT “things” to central or back-end systems, without human input. Operational technology (OT) is enterprise technology used to monitor and/or control physical devices, assets and processes. I like how Moore Insights and Strategy defines IIoT vs. HIoT. Designing for IIoT requires deep understanding of solution spaces and an ability to connect systems manufactured many decades apart. IIoT favors solutions vendors such as DIGI, Echelon, and Freescale, who have solid roots in the industrial control world. HIoT favors fast moving prototyping driven by leaps of faith in user experience (UX) and device design, exemplified by the Maker community in particular, led by vendors such as Apple and Microsoft. Gartner predicts that, by 2020, the installed base of the IoT will exceed 26 billion units worldwide and will consist of a very diverse range of smart objects and equipment. Between 2014 and 2020, the number of connected objects will grow explosively and few organizations will escape the need to deliver applications that link smart objects and equipment to their corporate IT systems. However, systems involving the IoT will be very different from conventional IT applications, so IT leaders must act now prepare for this future. 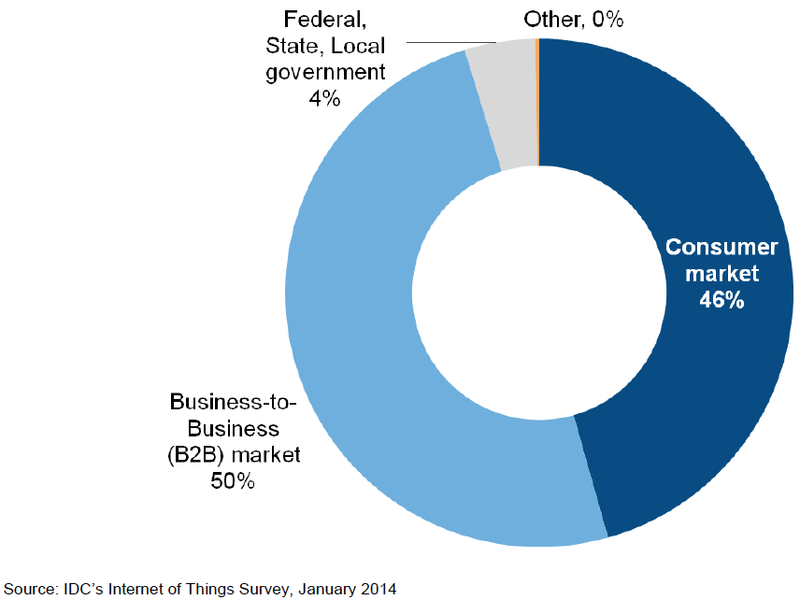 IDC estimates that as of the end of 2013, there were 10 billion IoT units installed — with IP connectivity and communicating autonomously. IDC predicts that the installed base of IoT units to grow at a 16.8% CAGR over the forecast period to 29.5 billion in 2020 (see Table 3). Enablers for the impressive growth rate over the forecast period include but are not limited to pervasiveness of wireless connectivity, ubiquitous access to the Internet regardless of location, IoT standard protocols, government support for efficient technologies and services, innovation happening in a new segment of the tech market, and business process efficiencies and consumer realities around a connected lifestyle. Health care is already making use of telehealth systems and services, an area likely to grow substantially over the coming years both inside hospitals and across community service delivery. Agriculture is looking to combine sensor data (such as soil analysis) with environmental data, satellite imaging, and so on. Physical retail is known to be struggling, particularly in light of lower-margin ecommerce. The future of physical retail lies in delivering improved experiences to customers, enabled by the internet of things. Public safety and defense can benefit from the increased use of sensors and monitoring, combined with information from broader sources (environmental, geospatial, and so on). Technology Business Research (TBR) believes lucrative returns will not come from sales of Internet-ready fashion, appliances or connected home electronics. TBR expects the IoT market over the next two years to be incredibly turbulent as customer adoption of new devices will be hit or miss, and device companies will invest hundreds of millions of dollars in product development with little return other than learning which devices do not appeal to customers. TBR believes health and fitness presents the largest opportunity, followed by personal safety. Ezra Gottheil believes that consumer IoT will complement and often lead the commercial IoT, and together, they will fuel a wave of innovation and expansion in all segments of IT. Jack Narcotta believes that the biggest upside will come from the platforms device vendors will construct. New IoT-ready platforms will enable vendors to embrace the first generation of IoT devices and allow the devices to intercommunicate with vendors’ current respective ecosystems. New platforms will also effectively future-proof vendor IoT strategies from the effects of fickle customers, peaks and valleys in demand for specific form factors, and the introduction of new protocols and technical standards. IDC believes that there is no one vendor that will emerge as a winner. This market will involve a collection of vendors, service providers, and systems integrators that need to coexist and integrate products and solutions to meet the needs of customers — enterprises, governments, and consumers. IDC believes that the opportunity is being led by the IT hardware vendors, followed by software. This is probably based on the fact that hardware spending in general, about 40% of total IT spending, drives downstream spending in software and services. So where does one focus? B2C or B2B markets? Both? IDC sees almost an even split. But $3T by 2020? That’s actually down from their $7.1T 2020 revenue forecast in their Worldwide and Regional Internet of Things (IoT) 2014–2020 Forecast: A Virtuous Circle of Proven Value and Demand, IDC #248451, back in May 2014. The change in forecast was due to how IDC weighted which use-cases grew faster. 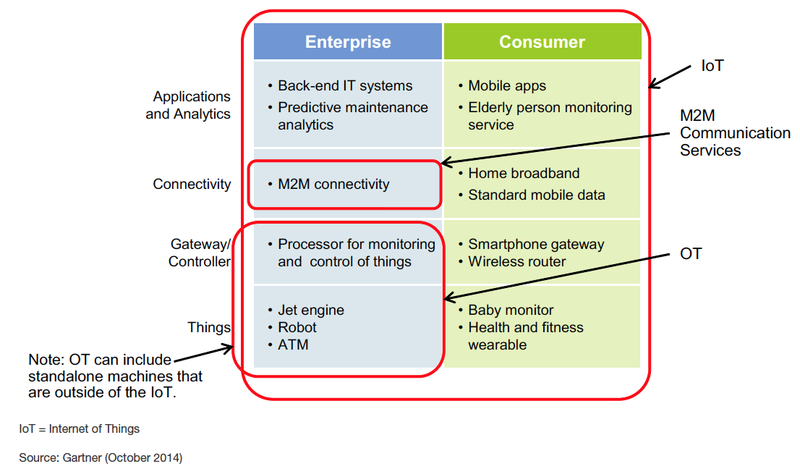 The high-end IoT scenario involves systems that have advanced monitoring and analytics. Mid-high-end scenarios have rich “track and trace” capabilities with exception-based reporting + prediction. Mid-low-end scenarios involves exception reporting, but without prediction. Low-end scenarios are only simple “track and trace”…no exception handling, and no prediction. A “thing” categorized within the “low-end scenario” could generate $2 per month with a temperature sensor in a carton/container, generating $24 per year (e.g. tallying the goods moved from Asia to the US via boat freight). The “high-end scenario” could generate $100 per month with a monitor in a critical care unit, generating $1,200 per year (e.g. providing prescriptive capabilities around sepsis – which is the most expensive condition treated in hospitals, accounting for over $20 billion in annual costs to the U.S. healthcare system). At Directions 2014, IDC’s Carrie MacGillivray, talked about which industries were leading the charge with IoT based on the Value vs. Volume of the devices in their connected device networks. Insurance, Retail, and Transportation are considered the established IoT sectors, while Manufacturing, Consumer, and Utilities are the most promising in terms of growth. Vernon Turner‘s view is that Intelligent Systems (30%) is going to be the largest segment in the stack. Vernon also believes that companies like Bosch and GE will lead on Industrial IoT, while companies like Apple and Microsoft will lead on Human IoT. Tagged with autonomous things, embedded computing devices, Gartner, GigaOM, HIoT, IDC, IIoT, Internet of Things, IoT, m2m, machine to machine.